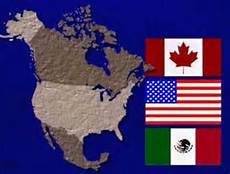 On January 1, 2014 the North American Free Trade Agreement (NAFTA) reached the age of 20. Still fairly controversial, NAFTA has turned out to be neither the economic marvel nor the calamity its supporters and critics claimed when the agreement went into force. NAFTA did do what trade agreements are supposed to do, it fostered a large increase in the level of trade between the U.S., Canada and Mexico. In 1993, U.S. merchandise exports to Mexico were $41.5 billion, imports totaled $39.9 billion. Trade with Canada accounted for $100.4 billion in U.S. exports and imports valued at $111.2 billion. In 2012, the last year for which full year data are available, U.S. merchandise exports to Mexico reached $215.9 billion and imports totaled $277.5 billion. Shipments to Canada totaled $292.5 billion while U.S. imports came to $323.9 billion. Although U.S. merchandise trade ran a deficit with Canada and Mexico in 2012, the services trade sector did better. 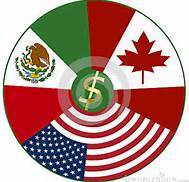 The U.S. had a surplus of $31.5 billion with Canada and $12.2 billion with Mexico. Services include such items as licensing fees, royalties, freight, legal, engineering, consulting, etc. While many Americans continue to be unsure of the worth of NAFTA, most Canadians believe it helped transform the country’s economy. The agreement enhanced the already strong economic relationship with the U.S. 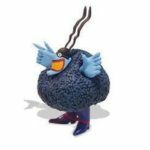 It offered additional opportunities that Canada was able and ready to exploit. South of the border, Mexican politicians oversold the concept by saying that free trade and foreign investment would jump-start the economy, creating an easy path to a richer and prosperous Mexico. They also neglected to consider the need for an improved social safety net. While Mexican exports did expand, the resulting economic growth was very uneven. Mexican economists say much of the blame lies with Mexico’s political leaders because they failed to take on the monopolies controlling large sections of the economy and ignored needed economic reforms. The violence generated by the illegal drug trade also was a factor. Free trade on its own does not bring development, it is only an opportunity to build on. NAFTA offered Mexico opportunities the country’s stale economy could not fully take advantage of. Mexico also suffered a loss of low wage manufacturing to China in the early years. In Mexico’s agricultural sector, the poor planning resulted in severe dislocations. Inefficient small local farmers, many producing low yields on as few as 10 acres, got pushed out of the market by falling prices. About 25% of Mexico’s population still lives in rural areas. These hard hit locations account for 44% of the migrants moving to look for work in the U.S.
Today, Mexico is better off even if NAFTA did not meet the lofty expectations. Belatedly goaded by economic reality, the Mexican government is focusing on improving productivity, ending extreme poverty and improving public finances. The country now ranks among the top 50 economies showing improvement in business regulation and implementation of regulatory reforms. As a result, a growing number of Mexicans are joining the middle class. Mexico is also expanding its trade base. It has made its first shipment of Agave Tequila to China and expects to export 10 million liters to China over the next five years. Mexico’s growing global Tequila exports are valued at $870 million per year. Because the main benefits from free trade are specialization and exchange, it does not necessarily create more jobs. It can help create better jobs as economies expand and grow more efficient. Governments have probably been overselling free trade as a cure for all economic ills. Automation, structural changes and trade expansion can all cause disruptions. In dealing with change, governments have to be willing to address problems by implementing safety net programs and supporting programs such as universal, quality education. Freedom isn’t free and neither is 21st century economic growth, both carry costs. As an ardent NAFTA supporter, President Clinton has been mostly vindicated since NAFTA did not cause an overall loss of U.S. jobs. 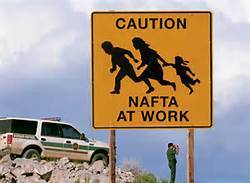 Although many were not a consequence of NAFTA, 23-24 million jobs were created in the U.S. economy during the time NAFTA was supposed to make jobs disappear. The big job loss predicted by Ross Perot came with the onset of the Great Recession. It was caused by financial sector mismanagement, not trade. Next articleSingle mothers ruining everything again!